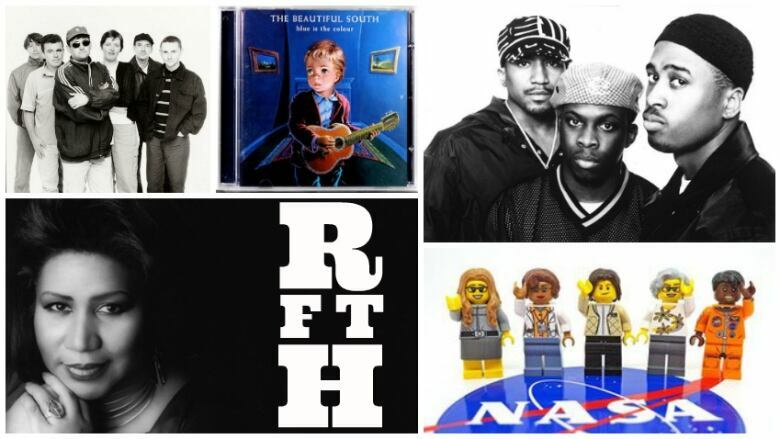 Last week's clues were Annie Lennox and Aretha Franklin with "Sisters Are Doing it for Themselves", A Tribe Called Quest with "Space Program" and The Beautiful South with "Foundations." Anne Laurie of Montreal correctly guessed the headline we were looking for: Lego is making a "Women of NASA" set. Congratulations, Anne! A Day 6 tote bag is on its way to you.